While FMS lacks the plush campus as offered at other premier institutes complete with varied facilities, it makes us ready for the real world. In the real world, one might not always get AC rooms, 5star canteens and luxurious rooms to ease our stay. Life at FMS makes one ready to perform their best even in times of scarcity. With juggling a plethora of tasks from seniors, societies, professors and competitions, we also handle our accommodation, travel and food-related issues. It might seem like a small issue, but when one gets 3 hours to himself, these small things matter. I had reached the final round of the class leader during the induction program. This required a case study to be solved and presented to my batch. This presentation along with the QnA round would then be judged at the time of voting. So, during the QnA round, the batch asked a few questions which got escalated and they got a sense that I’m an arrogant person. Contrary to this belief, I’m not at all arrogant and this experience taught me the need of choosing the right words and body language to comply with the answers to engage the audience in a better manner. This truly taught me lessons which would be helpful for the rest of my life. Vini Sawjiani: Meet vinni, a chirpy and bubbly girl who’s always full of energy. Be it a class on corporate finance, or a15 mins break in our 24*7 hectic days, being motionless doesn’t come naturally to her. She keeps moving around and exuberate a ton of energy at all times. Siddhartha Choudhary: An ece grad and finance enthusiast. But his true passion lies in sleeping. It’s a mystery how he manages to sleep 6+ hours daily and still sleep all throughout the day. 10 mins in an auto, 5 mins in the shower, 2 mins in the lift and many more. He’s a perfect example of a person who completely utilizes his time to follow his passion. Roopali Sharma: It was during her last few days in Bangalore and she was out with her friends to their favourite hangout spot. The nostalgia for the place had already begun to kick in, but in a bid for creating an unforgettable memory with the place her friend dared her to a song for open mic. Bad enough that she didn’t sing, her friend had her sing “Raja raja ” infront of a full. To add to the misery, the hotel people put up the snippet of the gig on their facebook page. Established in 1954, FMS has been a pioneer in India offering management education. 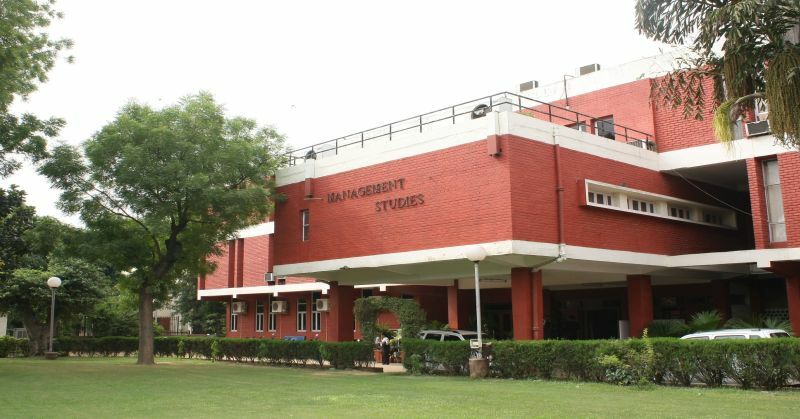 FMS has the unique advantage of being a premier ‘B-school’ in a University milieu and in the national capital, thus offering valuable opportunities for our students in interdisciplinary learning and to undertake live projects from national/ international organisations. FMS is proud of a long list of illustrious alumni. It has rich legacy and history of producing World Class Business Leaders who are ranking stalwarts in Top MNCs across the globe.